Through an innovative and collaborate graduate program with the UiT Arctic University of Norway, students in the Johnson Shoyama joint Master of Governance and Entrepreneurship in Northern and Indigenous Areas (GENI) program are inspired to make a difference in their communities after learning from the Sami and other Norwegian people in the North. In March, GENI students gathered in the Finnmark region of Norway, spending a week exploring the area with classmates, instructors and GENI staff members. They all developed a much deeper appreciation for life in the north. Students in the GENI program come from Northern Europe and North America, united by a desire to appreciate and recognize new opportunities for Northern peoples and communities. The online program combines learning through theory, skills development and field experience, raising the bar for collaborative graduate programs in Canada. 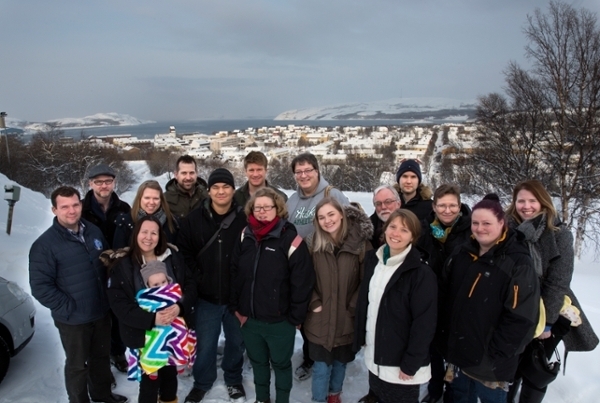 As part of their Northern Resource Economics and Policy course and the field school, students visited Kirkenes and Bugøynes, two small Northern Norwegian towns, historically known for being primarily single industry towns. These communities faced substantial challenges when their core industries declined. The two towns chose different strategies as a means of economic revitalization, providing the students with insights into the resiliency of Northern communities. 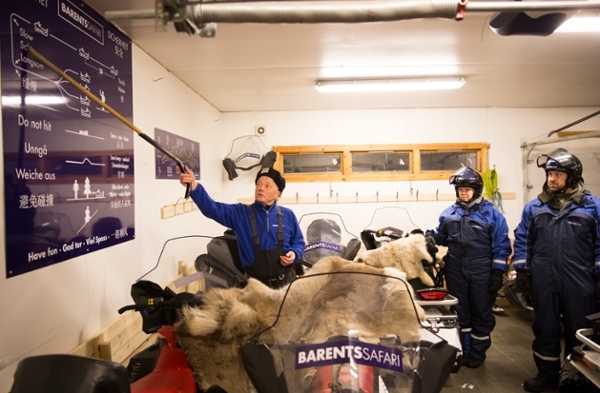 “The field school really highlighted all the ways in which we in the North share much in common. I got to see how even on the other side of the world, they share so many of the same challenges and struggles,” said Anne-Marie Guedon, GENI student and Senior Advisor with the Department of Executive and Indigenous Affairs in the Government of the Northwest Territories. GENI students were introduced to ideas for regional development in the North from these two towns, and from the Sami (the Indigenous peoples of Scandinavia) communities of Tana Bru, Neiden, and Karasjok. The different regional development strategies, and governance models adopted by the Sami people and local communities introduced students to strategies for diversifying economies that have the potential to create a more resilient economy. “The Norway field school demonstrated the remarkable value in international engagement. The students from six countries loved the opportunity to learn from local experts and to see resource development and Indigenous economic activity in person. For Northern Canadian students, the experience in Norway transformed their expectations about the future of the North,” says Ken Coates, JSGS Professor and Canada Research Chair in Regional Innovation. 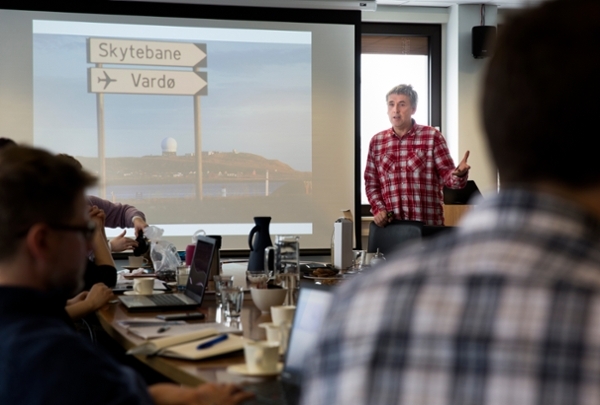 To place the learning in context, Coates and JSGS Professor, Jeremy Rayner, led daily debriefs to connect Norwegian lessons with Canadian realities. These extensive conversations helped the students apply their newfound knowledge. “The combination of learning something new, followed by a period of reflection and debate made for a very rich learning experience,” said Guedon. Students had the opportunity to experience more of the Norwegian and Sami cultures through king crab fishing excursions and a fascinating visit to the Sami Parliament. They also observed hundreds of years of Sami culture through a guided tour in one of the community museums. A visit to the Centre for Sami Studies at the University of Tromsø, Norway’s Arctic University, brought the tour to a close with a touching and heartfelt sharing of memories and learning from the time in Norway. JSGS Circumpolar Outreach Specialist, Emmy S. Neuls travelled on the field school with the students. Neuls, who is from Norway, recognizes that the field school, and the GENI program as a whole, provides an excellent opportunity for students who want to learn more about northern economic development. She was impressed by the depth and range of what students take away from the experience. The field school in northern Norway is the second of two field schools required in the GENI program. In August 2017, students from Northern Europe joined their North American colleagues to explore Northern Saskatchewan as part of the Northern Governance course. The trip included stops in Saskatoon, Batoche, La Ronge, Stanley Mission, Prince Albert and an overnight stay at Wanuskewin. The students heard from many guest lecturers and went on numerous site visits. Perhaps the most informative aspects were meeting with Vice Chief Dwayne Lasas, MLA Buckley Belanger, visiting with elders, councillors and staff at the Lac La Ronge Indian Band Office. A visit to the provincial government offices responsible for the services to the Northern Administrative District provided valuable insights into local governance. 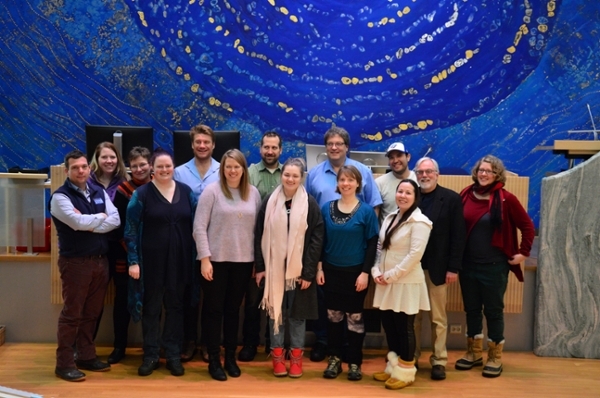 JSGS faculty and staff were joined in the field school by their colleagues from the Centre for Sami Studies in Norway, including Professor Else Grete Broderstad, Assistant Professor Jonathan Crossen, and GENI Higher Executive Officer, Kristin Evju.